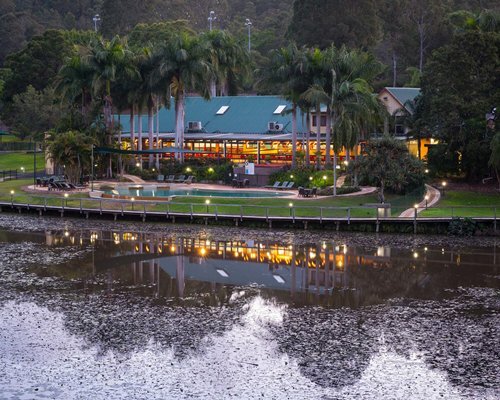 Nestled in the hills of the Gold Coast in Advancetown, Cedar Lake Country Resort is set in lush countryside making it a great location for walking, cycling and exploring the natural surroundings. It also offers activities for all the family, including swimming, canoeing, paddle boarding, mini-golf and table tennis. The resort features modern 1-bedroom apartments boasting a full kitchen, TV, DVD player and air-conditioning, as well as spectacular views across the landscape. There is also an onsite bistro and bar. The resort features spacious and modern two-bedroom apartments that sleep up to six people comfortably. 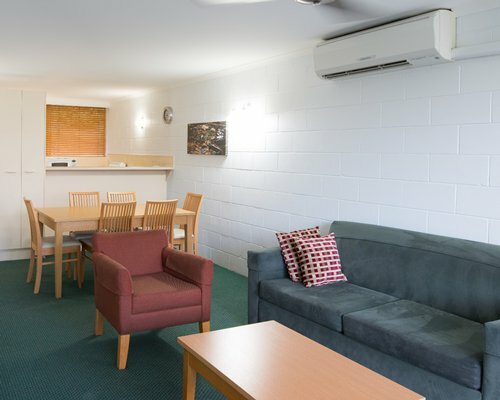 Each unit is fully equipped with full kitchen, ceiling fans, air conditioning, clock/radio, hair dryers, telephone, TV, DVD player and stylish furnishings. And all units are well maintained and come with breathtaking views of the hinterland. Why not combine the "buzz" of the coast with the serenity of hinterlands? Cedar Lake Country Resort offers just that! A 30-minute drive in either direction can place you in the action at Surfers Paradise, where wide, white-sand beaches and Cavill Mall -- one of the busiest shopping strips in Queensland -- beckon. To the west rises Tamborine Mountain, once the domain of native Aborigines, whose sub-tropical climate and spectacular scenery today draw tourists to the "Gallery Walk", a street devoted to art galleries, cafes, and souvenir shops as well as walking tracks that wind through regional rainforest and past waterfalls. From Coolangatta take the Brisbane turn off approx 3 kms north of the airport Drive approx 25kms past Mudgeeraba. Take the Nerang exit (71). Turn right at Station St. Follow the signs to Nerang West. You will drive along Ferry Rd, over the Nerang Bridge. Turn left at inter- section of Ferry Rd and Price St. Continue along this road following thesigns to Cedar Lake. From Brisbane travel along the Pacific Hwy for approx 70kms approx 1 hour and take exit 69. At the traffic lights at the bottom of the hill turn right. Stay on this road. Travel through Nerang. Pass the 7 Elven Service Station. Travel approx 9kms. Do not turn off. Follow the Murwillumbah signs to Cedar Lake. Nearby construction or remodeling may disturb guests from June 12, 2019 to June 12, 2019. A power interruption between 8am-4pm. Spa & Sauna will be closed. Gas barbeque available for guests.